This health condition is almost always due to an infection. When it sets in, the following symptoms will manifest themselves. The most common symptom is a cold and feeling that the nose is congested. There is sneezing accompanied by the discomfort felt with a cold. In this case the cold will last for several days or weeks. The drainage will change color; it becomes a yellow green. Other major symptoms are frequent headaches and a fever. There is some pain in the sinuses. Bending over exacerbates the pain. Some patients feel a dull ache in the jaw area. The teeth may also hurt. Young children develop stomach pain. There are coughing fits and also sore throat. Diagnosing can be quite difficult. The reason is the symptoms are so similar to the common cold. If the condition persists for more than seven days, it’s probably not just a cold. If it lasts for three months or more, it is chronic. Some (not all) doctors perform sinus tapping. This can be used to further diagnose the ailment. Other diagnostic tools are X-rays and CT scans. By checking the sinus, it can be determined if it is acute or chronic. If it’s a chronic condition, allergies need to be determined. There’s also the possibility that something is actually blocking the sinus. A deviated septum is one example of physical obstruction. Antibiotics are prescribed to eliminate the symptoms. Among them are amoxicillin, cephalosporins and sulfa drugs. Dosage may vary but two weeks is the average. Decongestants can be used to relieve discomfort, while others prescribe nose sprays. For headaches, acetaminophen or ibuprofen can be taken. A humidifier can help remove the pain. Application of ice packs on the head can reduce the pain as well. 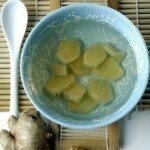 There are also over the counter medications for relieving sore throat. Alternating between hot and cold compresses can remove some minor pains. 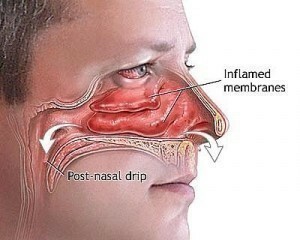 Inhaling essential oils can unblock the sinuses. Add 2 drops of the herbal oils for a couple of cups of water. If the cause is fungal in nature, surgery is required. Once the sinuses are cleared, medication (amphotericin B) must be injected over several weeks. The chronic type is usually caused by food allergies. It is therefore essential that accounting of the foods taken is done. Informing the doctor of your diet makes it easier to identify the possible culprits. Some recommend sinus irrigation with saltwater solution. Staying physically fit remains the best way to prevent its occurrence. Eating foods with fiber is recommended. Taking vitamins like A, C, D and E will also help. Some minerals can also help. In particular zinc has proven beneficial. One should try to limit exposure to second hand cigarette smoke and chemicals. Staying away from the deeper parts of the swimming pool will keep the sinus clear too. A humidifier early in the winter prevents fissures in the nasal passages. Even though chronic sinusitis is bothersome, treatment is easy enough. By keeping yourself fit, susceptibility to this disease will be less likely.